After the run for GoT was over, I ventured out into the corporate world for a few shows. One of them being the yearly event for TED Talks up in Vancouver, BC. An absolutely great bunch of people on the crew here and a great event overall to work on. Amazingly good talks here with live acts occasionally playing on the same stage. They actually build the entire theatre seating area in the convention center there and they do it in under a weeks time. PA done and floated in one afternoon with a few tweaks done a couple days later. The start of 2017 brought me my first freelance job as System Engineer for the Game of Thrones Live Concert Experience. This featured conductor Ramin Djawadi who is the main composer for the show as well as several other projects such as Westworld, Pacific Rim and Iron Man. 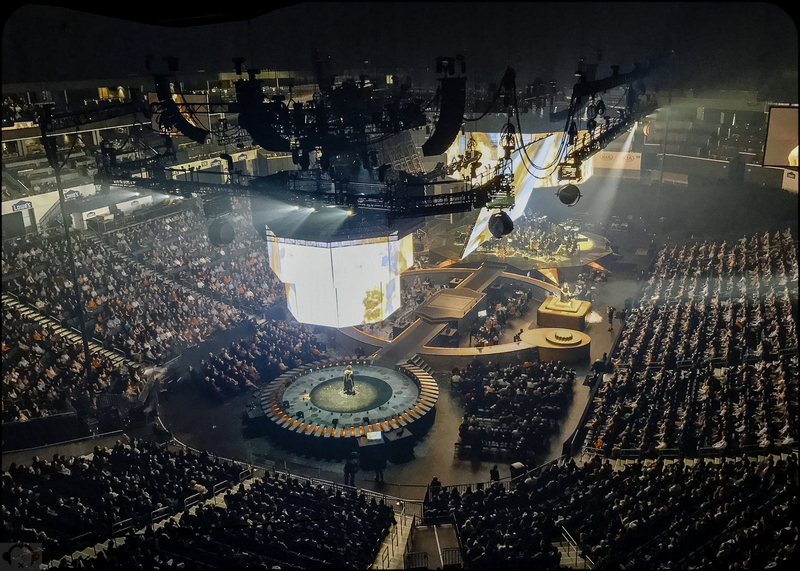 We deployed 8 main hangs of Meyer Lyon speakers for the in-the-round setting that was needed for the show. Long days and nights as this was a pretty huge production. Tons of video, pyro, and lights here and the crowds seemed to enjoy the shows quite well. After deciding long and hard about my current location and career, I decided at the end of 2016 to join the freelance world of live audio. Mostly decided out of the need to get closer to family. Being closer to help out when needed especially when I am home was the driving factor. Traveling back and forth from Wisconsin was getting expensive and only going to get worse over time. Losing the security of a staff position and the yearly jobs that contributed to my growing experience was going to be tough to match but something had to happen. So, with that all weighing on me I decided I wasn’t getting any younger and put in my notice. LD Systems was a great company to grow up in and I am very thankful for all the opportunities they offered me throughout the years. With the passing of the new year, I began as a freelancer and it didn’t take long thankfully, to gain employment. 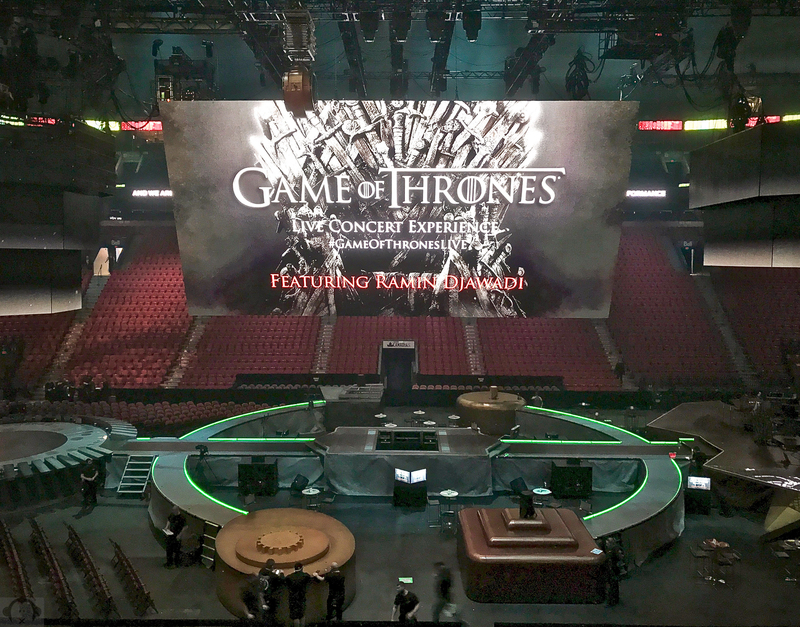 First job being as the System Engineer for the Game of Thrones US tour in 2017. A big change of pace and speaker systems but I learned a lot and continue to do so. Pics to follow! By making this purchase, it set off a flurry of little tasks that needed to be completed once the gear began to arrive. Tasks such as barcoding each cabinet (all 390 +). Labeling of hardware, cables, and accessories (600+). Checking all the gear in officially, logging it, and documenting it then followed… I have been in charge of this little mission since sea containers began arriving in July. The biggest and final shipment arrived near the end of October. Most of it will make it’s major debut this year at the Houston Livestock Show & Rodeo. The rodeo here is listed as the world’s largest indoor rodeo if I remember correctly, and also touts one of the largest temporary installs of lights, video, and sound. It’s in Reliant Stadium and runs for 20 nights and days starting in late February. Everyday is a rodeo and then one large international/national music artist. I’ve had everyone from Tim McGraw, to Ray Charles, to Kid Rock, to Janet Jackson play this thing. It can get fairly large to say the least, with a capacity crowd of up to 73,000 people a night. (So it’s kinda a big deal….) I’ll begin a post a day when that kicks off with some lead up shots of the load in I’m sure. Funny thing is, I’ll have more time on my hands once we begin, then when we prep. Funny how it works like that…. First day of listening to our new presents…. We’ve got more copper than you need here…. We flew 6 arrays in the stadium to see how it sounds with the new gear. Pretty amazing I must say. … when you are working your tail off. So, before I crash for the evening this time, I think I’ll put up a couple I’ve taken recently that stick out as favorites of mine, from the past few weeks…. Another couple weeks of crazy shows coming up starting with Tim McGraw and Faith Hill this weekend. Then on to some smaller gigs with Sara Evans and The Band Perry next week. I’ll see about trying to put up some pics from that when I can. Have a nice weekend folks! Drinking a nice cup o’ joe, windows open, bit of cleaning done and now listening to some music while working on some pics…. Looking at these, I realize I must have looked pretty crazy when touring in Asia. Snapping pics every other minute. Constantly looking around taking in as much as possible. The enormous amount of architecture differences there compared to here in the states is pretty mind blowing. Engineers who constantly push the boundaries to create some of the craziest structures. Places like Germany and several countries in Asia throw my OCD (of order) needle into the red. I can’t help that I like angles. It’s not as bad as it used to be mind you. I’ve learned to embrace it and I still do like my rounds. Just look at my logo : ). I blame it solely on my extensive experience as a child having a large collection of those Danish delights known as Legos. Coincidentally, “Lego” is also a Latin verb which means, “I assemble”. I’ll be working on more European and stateside photos in the coming days. We’ll see what I can find in my toy box of pics. Hope you had a good weekend! Godnat alle! Couple days of shows here featuring ZZ Top, Kenny Wayne Shepard, Reo Speedwagon, and Night Ranger. Holy 80s Batman. Private party at the Asia Society. Jennifer Hudson sang. Time to go for a jog and contemplate buying a new iPhone… ah stupid gadgets. I love thee so.